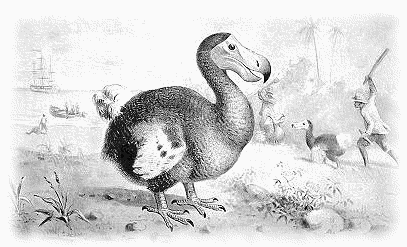 Personal Responsibility – Gone the Way of the Dodo? It’s “Hump Day.” Wednesday starts as most Wednesday’s do with the minutia of everyday life. Feed the dogs, shave and shower, grab a coffee, collect the trappings of work – laptop, iPhone – and so on. In the car the radio talks to me and the drudgery of work still seems distant, the Mavs won Game 4 so the world is grand. Same drive for years and the car is almost on autopilot. A pain in the end of my nose; the coffee is hot and the road is bumpy. Turns out I actually burned the end of my nose. To be fair it is not the most serious burn; a small red blemish and a little throb for a few minutes but for some reason it puts me in mind of the “McDonald’s Lady”. Most of you will recall the 1994 case Liebeck v. McDonald's Restaurants. At the time I was somewhat less of a transplant than I am now. I was a northerner living and working in southern England three years before crossing the pond and transitioning to limey living and working in Dallas, TX. I do recall that the case actually made the news back in the old country; a non violent incident in the US making the UK news was something of a rarity at the time. I also recall thinking that it could not be a serious news report but of course it was. Coffee is hot, if I place it in my lap and spill it I am likely to be burned – common sense? Is the degree of that burn relevant? To some maybe; to me not so much. I purchased the coffee [and would have complained if it was cold]; I held the coffee and I spilled the coffee. Yet the injury was someone else’s fault and a court held it to be so! That of course sent my mind into the slew of tangential thoughts that inevitably follow an initial thought. You may have a more sequential and structured thought process than I but at least that is the way my mind flows. Is personal responsibility a thing of the past? Is there always someone else to blame [and pay]? Back to my nose. Should I sue myself; after all I made the coffee, I poured the coffee and I spilled the coffee? Of course therein lies another issue; blood out of a stone. No one will get rich suing me. So maybe not me. How about the county? It was a county road and there was a bump in the road after all. But wait; I drive the road every day. I know about the bump and in fact most days I remember to slow a little on approach to said bump. I can hardly blame the keepers of the roads. What about Mazda; perhaps the suspension on the car is not up to par and should have been able to handle the bump. But no; following any logical thought process leads me to one inevitable conclusion. I spilled my coffee; it was a simple everyday accident and no one’s fault but my own. Onto the tangents. Alcohol and “dram shop” liability laws for one. I drink, I harm someone and the bartender gets sued. Where is the logic in that – it was all down to me – but, there is no personal responsibility and always someone else to blame. I am taking one of my rare trips to a restaurant and I spot something on the menu I have never tried. It arrives at the table in due course but when I taste it; well let’s just say it is not to my personal taste. What do I do? I call the server back and politely inform him that I do not like the dish and ask for something else – at the restaurants expense no less. Now fair is fair; if I order a pork chop and I get spare ribs the establishment ought to fix it. But if what I get is what I asked for and correctly cooked and presented why on earth should the establishment pay just because I decided it was not to my personal taste. Actually in my case I would simply strike it up to experience and not order that item again but as a onetime restaurant manager [yes I was that mad] I have often been asked to pay for a replacement to something that was exactly what was ordered. The tragedy of child abuse. I speak from experience within my own family. On a regular basis I have witnessed the internal struggles that occur in an individual more than thirty years after a time of abuse. I may not understand those struggles but they are very real and very evident. There is probably no more traumatic or damaging thing that can occur to the psyche than childhood abuse. It is a sad comment on humanity that it is all too common. It is also a sad comment on humanity that we constantly see in the legal system cases where the defense will suggest that an individual having suffered such harm as a child is mitigation for their crimes [sometimes equally horrific]. Surely this merely belittles the grit and determination of the vastly larger numbers of individuals who suffer but conquer their demons and live happy and constructive lives without harming others. They are the heroes and the failure of a smaller minority to have that same grit to overcome should, in my opinion, not be used as an excuse for them becoming exactly the individual they suffered at the hands of years before. What about parents and children? When I was a lad and I was “disciplined” at school the last thing I wanted was for my parents to hear about it. Should they do so I would inevitably be disciplined a second time at home. What happens now; many times the parent complains to the school and on occasion actually sues them. It is the schools fault; they should be able to handle the kids without disciplining them. What happened to parental responsibility? The parents are all too often too busy to bring up their kids and leave it to the school – witness the number of times in a restaurant kids are noisy and undisciplined; ruining the experience of other diners while the parents ignore their kids. Or worse, the cinema, a form of entertainment I have had to give up, where parents take a slew of kids and then allow them to yell and laugh all the way through the feature. Now I will admit I have no kids and I am mindful of the fact that parents have as much right to go out to be entertained as anyone. Childcare is expensive so taking the kids is often the only option. Fine but for goodness sake keep control of the kids and be mindful of the experience of those around you. I lost a little money to a “phish” a few years ago. Now I will grant you, phishers are scum who prey on people and they ought to be hunted down and strung up in my book BUT you know what my initial reaction was? It was not to get angry at the phisher it was more along the lines of “God, how stupid am I?” Yes, to me I was responsible, I did something stupid, I learned from the experience and they can phish away at me now because they won’t catch me again. I was the “meat” in a car sandwich on I30 sometime ago. I was too close to the car in front; had to brake severely but managed to avoid hitting it. The car behind me was too close and did hit me. Now insurance wise it was the rear of the three cars that was at fault but you know, if I am honest, had I not been so close to the car in front I would not have had to brake so violently and likely the car behind me would have had time to stop so really did I not bear at least some of the responsibility? And before anyone accuses - yes I am sad to admit that I am enough of a hypocrite that I accepted the insurance view and took their payment for my damages. I have a mortgage and a modest house. I would have liked a bigger house but my means did not offer me that luxury. Could I have gotten a bigger mortgage? Absolutely it was taken out just a little while before the financial crisis. I chose however to live within my means and take out a fixed rate mortgage I could afford. I was courted and enticed with ARM’s and low rates on bigger mortgages with payment plans that looked like I might be able to afford them – for about 30 seconds. The lenders were business people trying to make a buck; I did not expect them to be anything else. They were not responsible for me; I made my own decisions. Now if someone buys a house that is within their means and through no fault of their own, medical issues [a topic for another time if ever there was one] for example, falls on hard times I am all for helping them – a roof and food are the only two real essentials in my book. On the other hand I have no time for, or wish to help, the individuals who took ARM’s with payment increases down the line that they could never afford so they could get a bigger house than they ever should have been able to buy. That is on them not the lender. They made the decisions and they should be responsible for the outcome. If they are not why should any of us do it “the right way” and pay our mortgages. My mind continued to follow thread after thread but I will not bore you with more; plus it is time for work. The common thread in all this was that it seems to me responsibility these days always lies with someone else. Does that make sense? Would the world not be a much better place if we were each responsible and accountable for our own actions? No doubt there will be those who find my opinions somewhat callous or maybe just think I talking out my behind; as those who know me will attest I am just as capable of that as the next person but it is a diversity of opinion and the free speech we all cherish so much that makes the world the fascinating place it is.